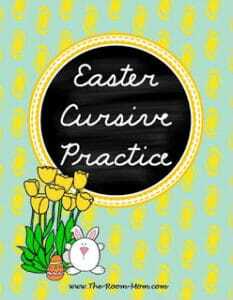 Are you teaching at a school that still uses cursive and need some cursive handwriting practice? I always do. 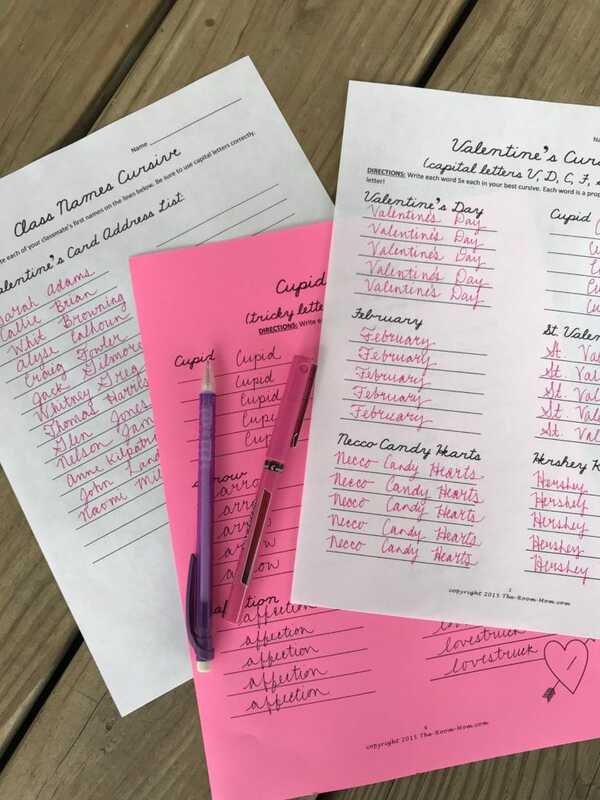 My students learn all of their cursive letters and connections before they get to my class, but they need refresher cursive handwriting activities all year. I always catch students doing funky swing arounds with their Os and retracing in odd ways that create problems later. 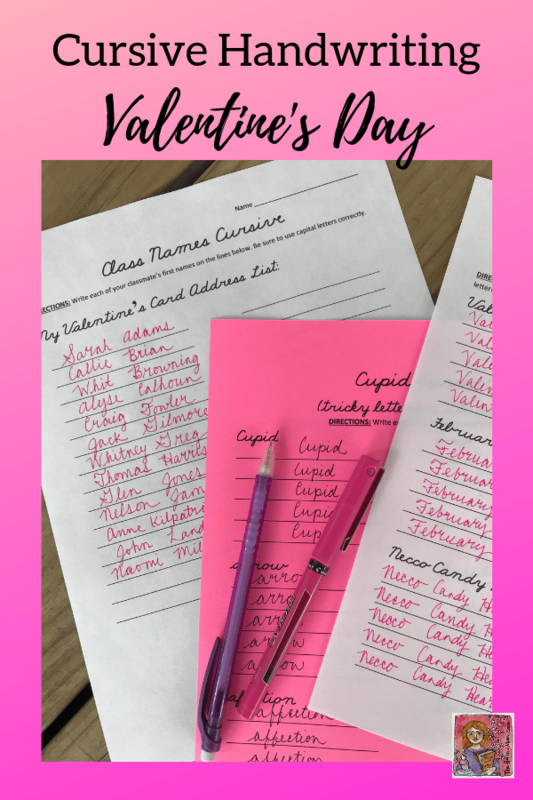 I use these Valentine’s Day Cursive Practice pages to review common errors with tricky connections and to help remember the correct way to form letters. The freebie resource also includes a page for students to write their classmates’ first and last names in cursive. This encourages review of lower and upper case letters as well as correctly learning the full name of all their classmates. Why is cursive handwriting beneficial? I believe students spell better when they spend time learning, practicing, and using cursive handwriting in the elementary grades. Cursive connects letters together creating a muscle memory between your hand and brain. Your brain will then remember common letter connections, patterns, and rules and subconsciously guide the hand to order letters correctly more often. Try to spell your own signature with a different letter order. It is difficult to force your hand not to put the letters of your name in the correct order. Your hand is on auto-pilot to write the name correctly. Students can achieve the same success with common words and common spelling patterns if they correctly write them in a connected way on a daily basis. 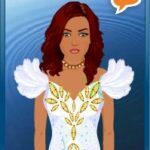 What are activities that will improve spelling and provide cursive handwriting practice? Make a list of words that a student often misspells. Have the child write the word in his/her best cursive multiple times. Provide a sample to copy, so the letter order and letter formation are correct. Group words that have similar letter patterns and write the portion of the word that is the same in all words multiple times. For example, if the student has a handful of words in a list that end with the letters age (manage, page, advantage), require the student to write the letters age together 5 times or 10 times or 10+ times. I watch my students’ papers and track the cursive letter connections that are hard to form. M and N are particularly tricky because kids want to add an extra “hump” and don’t see that the hump is actually a connector piece. O is also hard to connect to the next letter because it ends “high.” Letter pairs like os and or are challenging. Compare the difficult connections with misspelled words and make a list of those letter groups. Practice writing the letter pairs together correctly. Always provide a sample with the correctly formed letters. Sometimes, this is the hardest part because my own cursive handwriting is adequate at best. 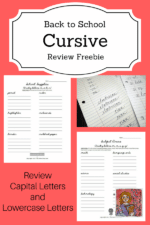 To see more freebie cursive practice pages, CLICK HERE. Improve Your Students’ Handwriting in 5 Minutes! Congratulations on being a teacher who still teaching cursive handwriting. I used to resist having to teach it, but I now think it has so many benefits. I enjoy it.